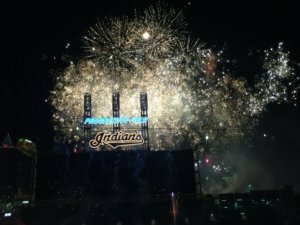 We are pleased to announce that the Second Father’s Day Outing with the Cleveland Indians took place on Saturday, June 10th. 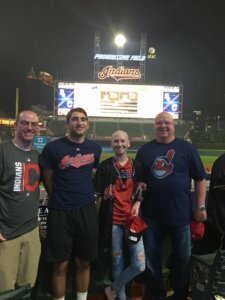 The Keira Kilbane Foundation partnered with the Cleveland Indians to host five fathers of children currently undergoing childhood cancer treatment as well as a guest of their choosing. We also brought a special guest, childhood cancer survivor Domenic Misiti. Two young adults that are currently in treatment were able to attend as the guest with their dads, which was a special treat. The Keira Kilbane Foundation worked with the Childlife Specialist at UH Rainbow Babies & Children’s to identify five dad’s that have had children with extended inpatient stays and could use an evening out. 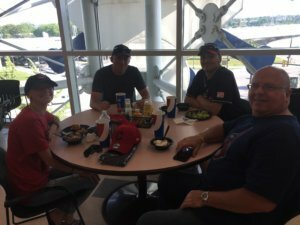 The Cleveland Indians graciously provided the tickets, a meal, and baseball caps to each of our guests. It was also free jersey giveaway that night so our guests received a bonus surprise. We were privileged to be able to once again host this Father’s Day Outing and hope to continue the tradition going forward.